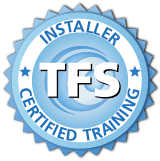 Installer level courses are our new to intermediate level courses designed for students who have either no experience, limited experience or who wish to brush up on their skills. If a student is new to the telecommunications industry, it is recommended that they begin by taking Fiber Optic Fundamentals. The class we recommend to most students getting started is the 2-day Certified Fiber Optic Installer (CFI) course. Our CFI course consists of an online lecture portion (required) followed by hands-on lab exercises to be completed in the classroom. Specialized installer courses provide industry-specific knowledge and exercises to prepare students for work in the field. Specialized installer courses may contain hands-on labs with harsh-environment connectors, connectors broadcasting, military connectors, assembling FTTX closures, setting up a CCTV video surveillance system, etc. depending on the industry/course.